Create strong, sustainable, inclusive communities and quality affordable homes for all. HUD works to: support responsible homeownership for creditworthy but underserved populations, help meet the need for quality affordable housing, end homelessness, promote self-sufficiency for HUD-assisted residents, and remove lead-based paint hazards and other health and safety risks from homes. 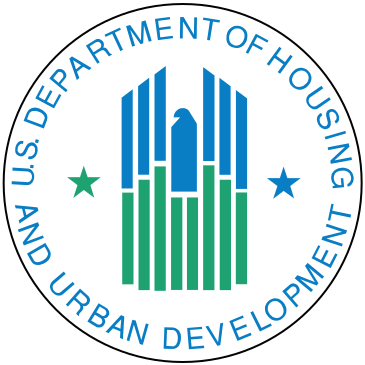 Department of Housing and Urban Development award winners are listed below. Transformed the way HUD manages its finances. The team reduced the administrative burden for some programs by over 90% and significantly improved accountability and transparency of taxpayer funds. Improved and streamlined customer service to maximize HUD’s impact on areas hardest hit by the 2018 hurricane season. The team’s work helped HUD assist over 12,000 hurricane survivors and rehouse more than 4000 families in FY18. Led the effort to modernize HUD’s housing systems, enabled by the Technology Modernization Fund. These systems are central to how HUD manages billions of tax dollars to help ensure Americans have access to fair, affordable housing and opportunities to achieve self-sufficiency. Created a tool to improve strategic Human Capital planning to build the workforce of the future and put key workforce information and analytics at the fingertips of decision makers. The team’s tool streamlines processes and eliminates manual and redundant work, saving tax dollars and valuable employee time.